Each tour lasts approximately four hours. With a Grand Historic City Tour, guests are sure to have an amazing time exploring everything that the area has to offer! Embark upon one of these tours with the entire family to create some new memories in the Texas Hill Country area. Each of these tours offers something unique, so whether you want to embark upon a full-day tour of the Texas Hill Country and LBJ Ranch or would rather take a leisurely half-day tour of the downtown area of San Antonio, there truly is something for everyone. Each tour takes place in a comfortable charter bus that will take guests to each location visited. During their ride, a knowledgeable guide will be able to instruct them on the local life and things to do. Ask all your burning questions about the San Antonio area! This tour is part of a huge overview of San Antonio. During this four-hour endeavor, guests will explore one of Texas' most historic cities. 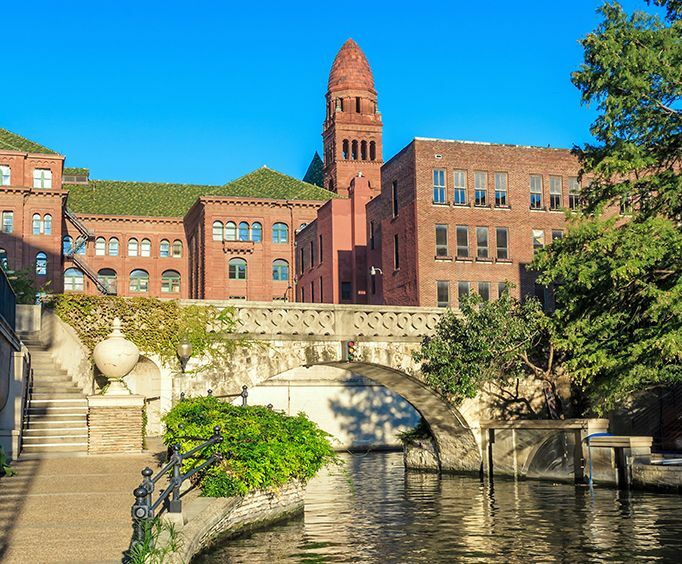 The tour includes a look into the cultures that make up the 300-year-old history and takes guests to see places such as Hemisfair Park, La Villita, the Theatre District, San Fernando Cathedral, Spanish Governor's Plaza, and The Alamo. Guests can also enjoy lunch at El Mercado. Hemisfair Park: Hemisphere Park is a popular San Antonio landmark, and it is an amazing place to visit. Whether you picnic or take in one of the many events held here, your visit to its gorgeous plazas and courtyards will be a memorable one. La Villita: On the southern end of the River Walk, La Villita is a shopping center that showcases everything from food to shops and artworks. Theatre District: See the landmarks that have shaped San Antonio's theater industry. These beautiful buildings are not only architectural feats, but they are also so important to the history of art in the area. San Fernando Cathedral: This cathedral is home to the oldest continuous religious community and was founded in the 1700s. Spanish Governor's Palace: If you love architecture and history, then the Spanish Governor's Palace is sure to impress. This gorgeous building features details from the 1700s as well as beautiful gardens. The Alamo: Probably the most well-known Texas historic landmark, the Alamo was home to the infamous 13-day siege that was the pivotal point of the war for Texas' Independence. For a more in-depth look at San Antonio, guests can choose to combine their Part 1 Tour with this four-hour adventure. Or, take it by itself! This four-hour tour will teach guests about the culture of San Antonio with narrative and fantastic sights to see. Some of the sights include the San Antonio River Locks, Witte Museum, San Antonio Botanical Center, Brackenridge Park, and Mission Concepcion. This tour includes admission to the San Antonio River locks, Japanese Tea Garden, and UNESCO World Heritage Site - Mission Concepcion. San Antonio River Locks: Included in this tour is admission to the San Antonio River Locks. These boat locks are a hub for transportation and can provide a unique look at the Riverwalk and canal. Witte Museum: The Witte Museum is home to exhibits detailing feats of nature, science, and history. San Antonio Botanical Center: See stunning gardens and stroll along winding pathways at the San Antonio Botanical Center. Guests will get admission to the Japanese Tea Garden located here. Brackenridge Park: This family park features picnicking areas and is located close to the River Walk. Guests will also find the San Antonio Zoo, Japanese Tea Garden, the Sunken Gardens, and Lambert Beach in this area. Mission Concepcion: Immerse yourself in San Antonio's history at Mission Concepcion. This 1700s-era church is home to beautiful architecture and humbling history. Admission is included. Guests can also pair together both Part 1 and Part 2 tours to embark upon an extensive tour around the San Antonio area. There are so many things to see, and this tour allows you to get a more in-depth look at the Alamo, Mission Concepcion, La Villita, and more. 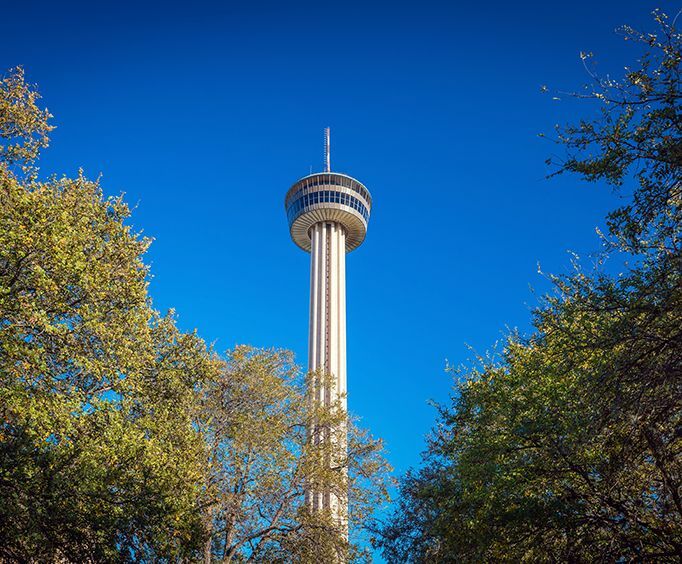 On each of these tours, guests will be able to learn all about San Antonio while seeing some of the best sights in the area and playing Texas Trivia along the way. Do not miss out on a fantastic time! Explore the Greater Downtown area of San Antonio on the Grand Historic Half Day Tour. 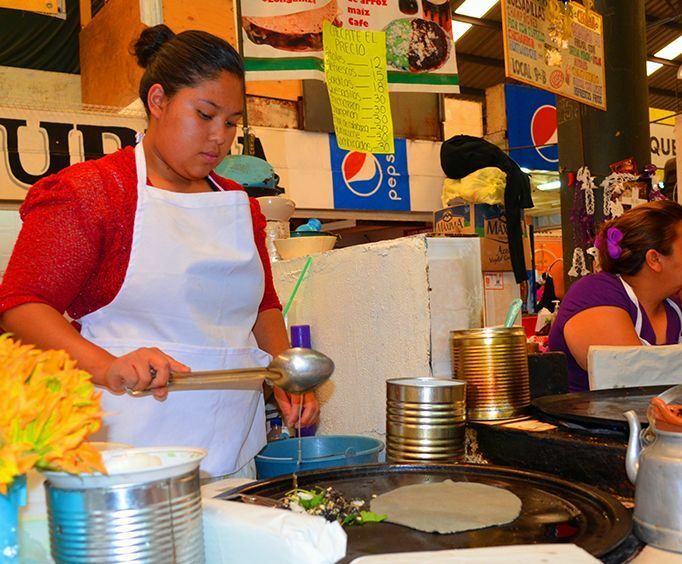 This four-hour tour allows guests to experience the history of the area with three stops including El Mercado for lunch. Guests will also be able to see the downtown architecture, the theatre district, and more. The San Antonio Grand Historic Half-Day Tour is a fantastic way to experience the greatness of San Antonio. This tour includes admission to the San Antonio River locks, Japanese Tea Garden, and UNESCO World Heritage Site - Mission Concepcion. The tour itself lasts approximately 4 hours. Includes both the Grand Historic Greater Downtown Area Part 1 and San Antonio Grand Historic Part 2 Tours. Includes Part 1 or 2 of the San Antonio Grand Historic City Tour or the full-day combo tour. What methods of transportation does the Grand Historic City Tour use? Approximately how long does the Grand Historic City Tour last? Will there be time allotted for dining on the Grand Historic City Tour? Yes. Thereis a lunch included at El Mercado. Where does the Grand Historic City Tour depart from? Is photography / video recording allowed on the Grand Historic City Tour? "would recommend to travelers looking for a guided tour"